As between you as the subscriber (“You”), You acknowledge that the RVI Analytics data to which You are subscribing (“RVI Analytics Data”) may be used solely for internal business purposes, or as may be outlined in a separate data license agreement between You and RVI Analytics for other uses, which such terms will expressly control (the “Service”). No partnership, joint venture, employment, distributorship or other business organization or relationship of any kind is established or intended to be established. You agree to pay all taxes, which may now or hereafter be assessed upon the subscription to, possession and/or use of the RVI Analytics Data, exclusive of taxes based on RVI Analytics’ income. 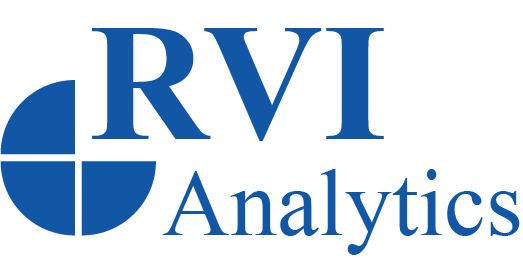 You acknowledge that the RVI Analytics data to which You are subscribing (“RVI Analytics Data”) is confidential and proprietary data, and that RVI Analytics owns all rights, title and interest in and to the RVI Analytics Data. RVI Analytics also owns all rights, title and interest in and to the Service, all the content (including, without limitation, text, photographs, graphics, audio, visual, and audiovisual content), code, data and materials thereon, the look and feel, design and organization of the Service, and the compilation of the content, code, data, and materials on the Service, including but not limited to any copyrights, trademark rights, patent rights, database rights, moral rights and other intellectual property and proprietary rights therein. Your use of the Service does not grant to You ownership of any content, code, data, or materials You may access on or through the Service. I agree that I have selected items that are for industry qualified customers only and attest that I am an industry qualified customer. I understand that annual Service contains a recurring charge and will continue until cancelled as per the cancellation policy below. I understand that monthly Service contains a recurring monthly charge and will continue until cancelled as per the cancellation policy below. I have read and agree to RVI Analytics’ cancellation policy below. Annual Service: Upon receipt of written notice of cancellation, if due, RVI Analytics will issue a pro-rated refund for annual Service. A refund will be processed for the remaining term of the Service period only and remaining balances for less than $50.00 will not be remitted. Monthly Service: Upon receipt of written notice of cancellation, RVI Analytics will cease issuing invoices. No refund will be issued for monthly Service. The customer may incur charges if the notice is given after the monthly charge has occurred for the next month’s Service. We reserve the right to issue refunds or credits at our sole discretion. You may access and view the content of the Service on Your computer or other device, and make single copies or prints of the content on the Service at Your own risk and for Your internal use only, if You keep intact all copyright and other proprietary notices contained therein and use the same in accordance with all restrictions applicable to Your use of the Service in general. You may not use the Service in any way that is unlawful, or harms us or any other person or entity, as determined in our sole discretion. Any commercial or promotional distribution, publishing, or exploitation of the Service, or any content, code, data, or materials on the Service, is strictly prohibited unless You have received the express prior written permission from authorized personnel of RVI Analytics or the otherwise applicable rights holder. Other than as expressly allowed herein, You may not download, post, display, publish, copy, reproduce, distribute, transmit, modify, perform, broadcast, transfer, create derivative works from, sell, or otherwise exploit any content, code, data, or materials on or available through the Service. You further agree that You may not alter, edit, delete, remove, otherwise change the meaning or appearance of, or repurpose, any of the content, code, data, or other materials on or made available through the Service. This includes, without limitation, the alteration or removal of any Trademarks (as defined in Section 10 below) or any other proprietary content or proprietary rights notices. If You make other use of the Service, or the content, code, data or materials thereon, except as otherwise provided above, You may be subject to liability for such unauthorized use (including, without limitation, for violations of copyright and other applicable laws). Actual or attempted unauthorized use of any of the Site may result in criminal and/or civil prosecution. For Your protection, RVI Analytics reserves the right to view, monitor, and record activity on the Site without notice or further permission from You, to the fullest extent permitted by applicable law. Any information obtained by monitoring, reviewing, or recording is subject to review by law enforcement organizations about the investigation or prosecution of possible criminal activity on any of the Site. RVI Analytics will also comply with all court orders involving requests for such information. RVI Analytics may provide links, in its sole discretion, to other websites on the World Wide Web for Your convenience in locating related information and services. These websites have not necessarily been reviewed by RVI Analytics and are maintained by third parties over which RVI Analytics exercises no control. RVI Analytics and its directors, officers, employees, agents, representatives, licensors and suppliers disclaims any responsibility for the content, the accuracy of the information, the quality of products or services provided by or advertised on and/or software downloaded from these third-party websites. Moreover, these links do not imply an endorsement of any third party or any website or the products or services provided by any third party. We control and operate the Service from our offices in the United States of America. We do not represent that materials on the Service are appropriate or available for use in other locations. Persons who choose to access the Service from other locations do so on their own initiative, and are responsible for compliance with local laws, if and to the extent local laws are applicable.